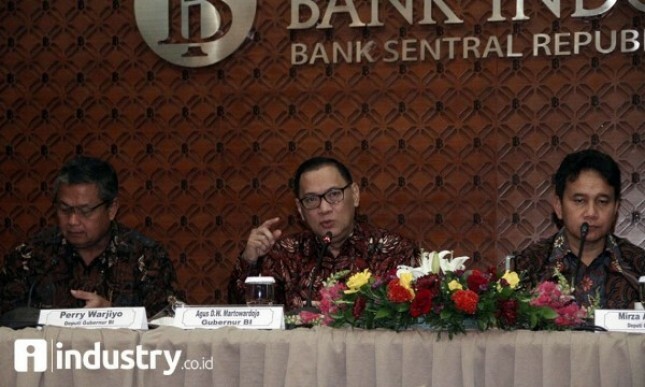 INDUSTRY.co.id - Jakarta - Bank Indonesia believes the halt in the operation of some public services in the United States (US) alias "shutdown", the impact of the Senate government has not agreed on the budget, only a small and temporary impact to Indonesia. BI Governor Agus Martowardojo at the Finance Ministry, Jakarta, on Tuesday said after "shutdown", not all services from the US government stopped operating. The government and the US Senate will not let the shutdown happen for long. "Because if 'shutdown' also does not mean all the institutions stop, but only partially and that federal level," he told the media crew. "Shutdown" is not the first time in the US. Noted, "shutdown" in the era of President Donald Trump's administration is the ninth time. Touched about its impact on Indonesia's exports to the US, Agus is reluctant to comment much. "I generally cannot comment much but I do believe that in the US the stakeholders know that this is not a good thing for 'government shutdown'," he said. The US government officially suspended its public service operations since Friday (19/1) last week. These conditions, as reported by Reuters, occurred because the Emergency Plan bill (bill) of the proposed Republicans cannot be ratified because it did not reach the support of 60 votes. The Senate lacked 10 votes to pass a four-week funding bill proposed by Republicans in Congress. Republican rival Democrats boycotted the Senate with demands that the government not deport more than 700,000 undocumented young immigrants who enter the US as children and include a protection budget for them. Senate Majority Leader Mitch McConnell offers a middle ground to the Democrats by asking the Senate to bring immigration legislation to a public hearing forum next February.